Blackpool is a seaside town with a population of around 142,000 people. 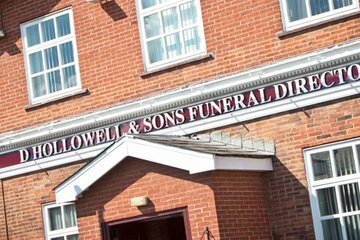 There are several funeral directors located in and around the town to facilitate burials and cremations for those who have recently lost loved ones. 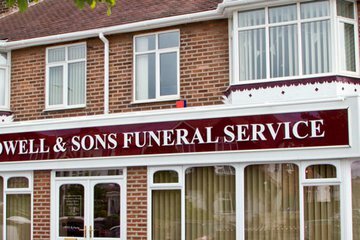 If your family follows a particular religion, there will be funeral directors in Blackpool who will be able to take care of your wishes. Muslims, Bahá'í, Hindus, Jains, Mormons and Sikhs will all be able to find appropriate funeral services in the town. Furthermore, since every city has a secular population, many Blackpool funeral directors will be very happy to arrange non-religious or humanist services. The city has a number of Christian churches (of which 18 are Anglican and 10 Roman Catholic). More prominent churches include Bispham All Hallows Church and St Johns The Evangelist Church. The major Catholic Churches are The Sacred Heart Catholic Church and Holy Family RC Church. There's the Mormon Church of Jesus Christ of Latter-day Saints in nearby Thornton-Cleveleys and a mosque in Central Blackpool. Blackpool Council runs the two major cemeteries in the town. There are Carleton Cemetery and Crematorium within the Greenlands ward and Layton Cemetery on Talbot Road. Layton Cemetery is no longer accepting new burials, although interments are permitted in existing graves. 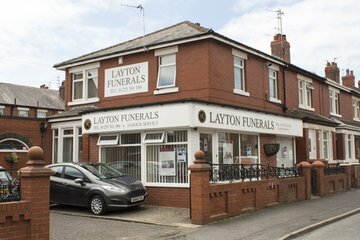 Search for local funeral directors in Blackpool now to see funeral homes near you. You can filter search results by best rated, most reviewed or nearest to you. Click on a funeral director’s listing to see their profile page, where you can read independent customer reviews, search for recent obituaries, and learn more about the funeral services they can offer to you.